Barrington analyst Alexander Paris reiterated a Buy rating on BridgePoint Edu (NYSE: BPI) today and set a price target of $15. The company’s shares opened today at $10.53. According to TipRanks.com, Paris is a 4-star analyst with an average return of 12.5% and a 59.4% success rate. Paris covers the Services sector, focusing on stocks such as Adtalem Global Education Inc, American Public Education, and Franklin Covey Company. BridgePoint Edu has an analyst consensus of Moderate Buy, with a price target consensus of $14. The company has a one-year high of $13.63 and a one-year low of $5.31. Currently, BridgePoint Edu has an average volume of 404K. Based on the recent corporate insider activity of 30 insiders, corporate insider sentiment is positive on the stock. This means that over the past quarter there has been an increase of insiders buying their shares of BPI in relation to earlier this year. 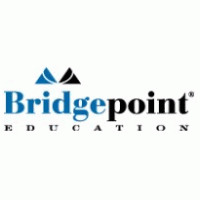 Bridgepoint Education, Inc. provides postsecondary education services. Through Ashford University and University of the RockiesSM, it offers online programs such as contemporary college experience. Its services also include mobile and other learning platform for students.